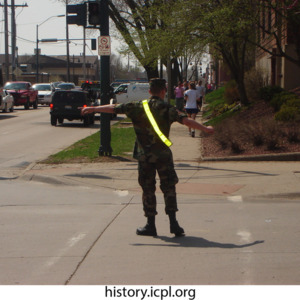 A National Guardsman directs traffic as people try to resume their normal routines. 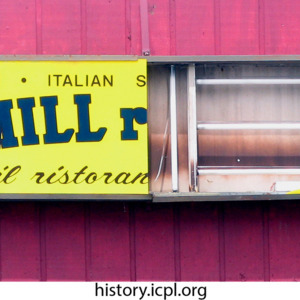 The Mill Restaurant Sign damaged after the 2006 F2 tornado. 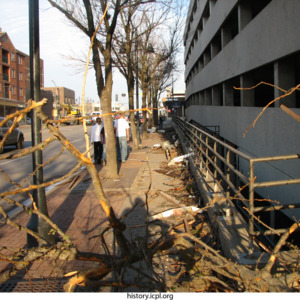 Debris and damaged buildings near the Sheraton Iowa City. 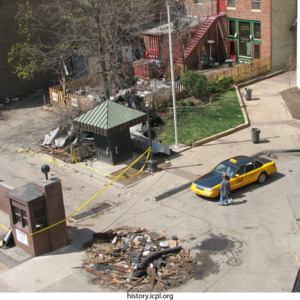 The Intersection of Burlington and Linn Streets, barricaded after the 2006 F2 tornado with damaged buildings in the background. 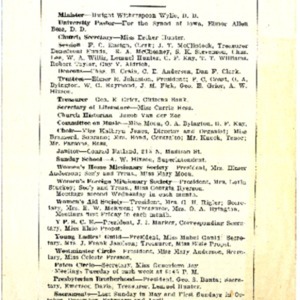 Tattoo Shop on Burlington Street. 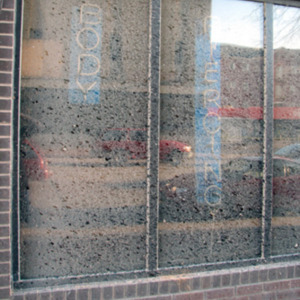 Tattoo Shop on Burlington Street with dirty windows after the 2006 F2 tornado. 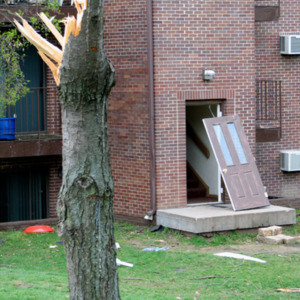 Damaged car and apartment after the 2006 F2 tornado. 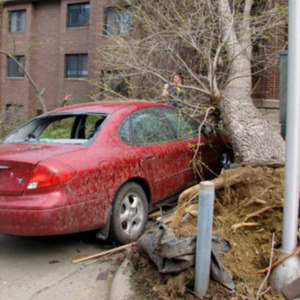 Damaged Cars and Other Debris on Court Street. 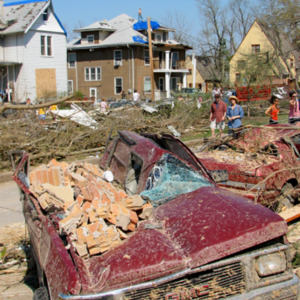 Damaged car and other debris after 2006 F2 tornado. 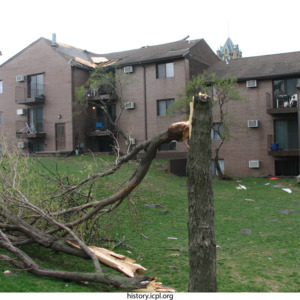 Damaged tree and aparment building on Court Street after 206 F2 tornado. 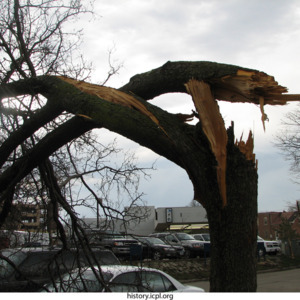 Damaged tree on Court Street after 2006 F2 tornado. 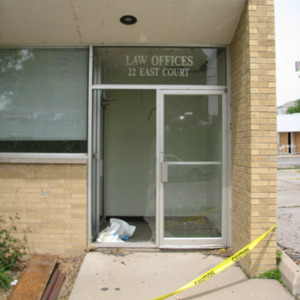 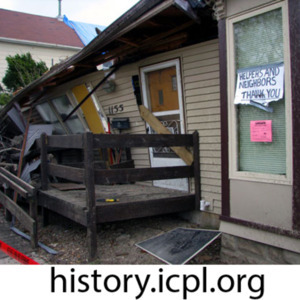 Law Offices on Court Street with broken windows after 2006 F2 tornado. 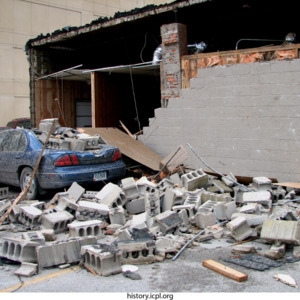 The tornado tore down a cement block wall of a building, crushing an unfortunate nearby vehicle. 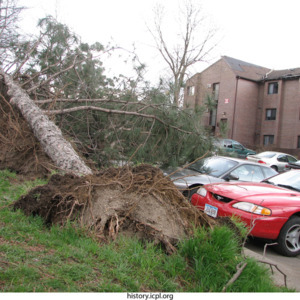 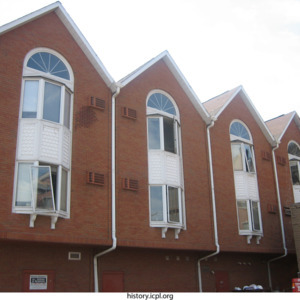 Hotz Street was hit particularly hard by the storm. 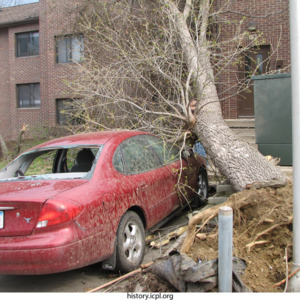 Many houses, cars, and trees were damaged or destroyed. 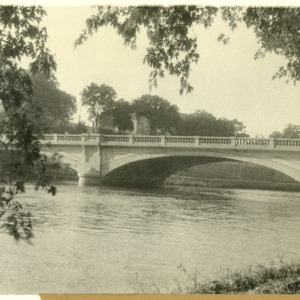 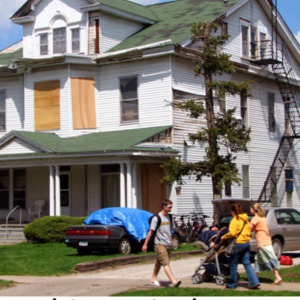 This Iowa City home has been standing for more than 100 years. 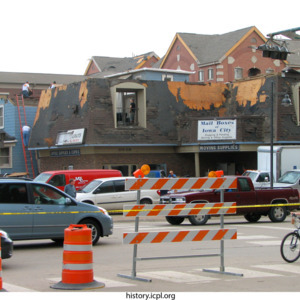 The F2 storm did not succeed in demolishing it. 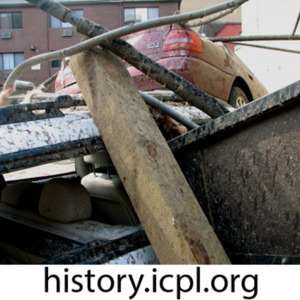 Many automobiles were damaged or destroyed in the storm, including this truck that was crushed by bricks. 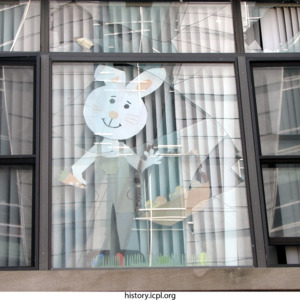 Easter decorations adorn a window. 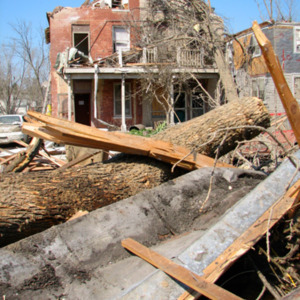 The F2 tornado struck on Holy Thursday. 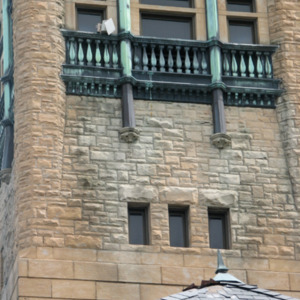 Close up of the damaged roof of the Johnson County Courthouse after the2006 F2 tornado. 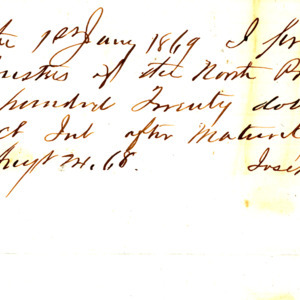 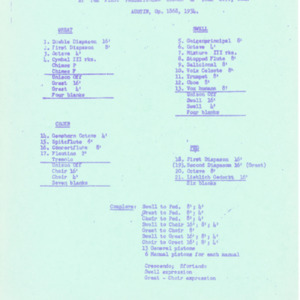 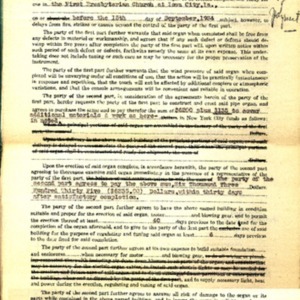 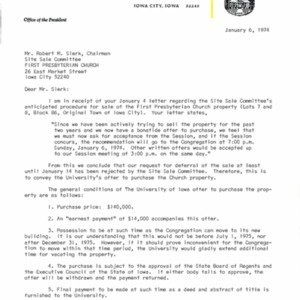 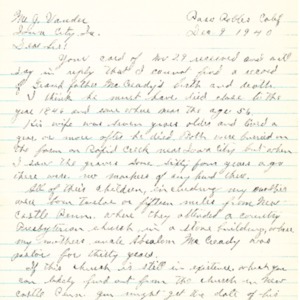 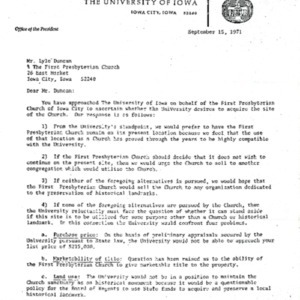 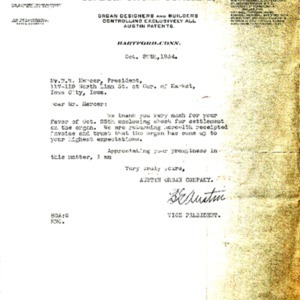 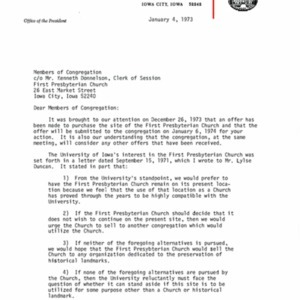 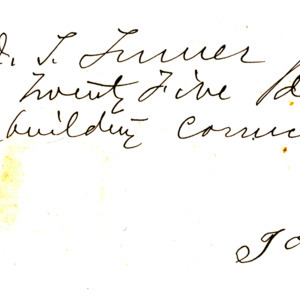 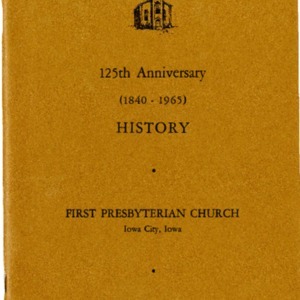 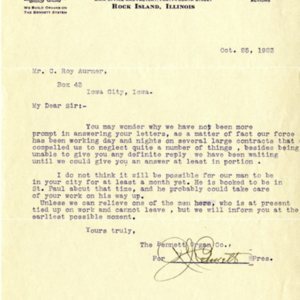 Letter from R.J. Bennett of the Bennet Organ Company to Roy C. Aurner of Iowa City regarding progress on getting an organ for the church. 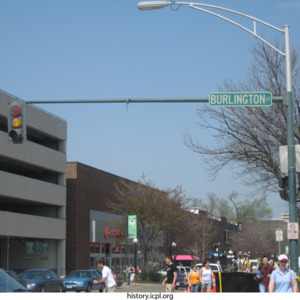 Burlington Street Looking North onto Clinton Street after the 2006 F2 tornado. 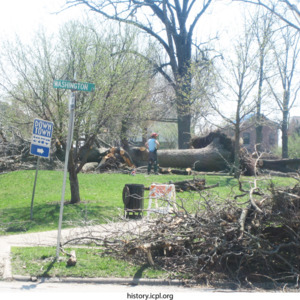 The F2 tornado crashed through College Green Park, stripping limbs, splitting trunks, and uprooting decades-old trees from the ground. 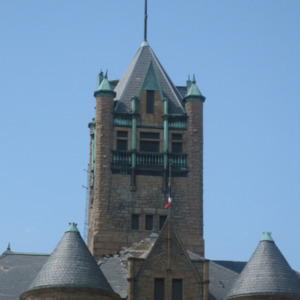 Johnson County Courthouse with roof damage after the 2006 F2 tornado.